In recent times, it seems game breaking glitches have been a pretty common thing in Nintendo titles. From game crashing bugs in Super Smash Bros Ultimate to save bricking ones in Mario & Luigi Bowser’s Inside Story + Bowser Jr’s Journey, it’s clear that a fair few awkward issues have snuck past quality control in recent times. And now it seems there’s another example. 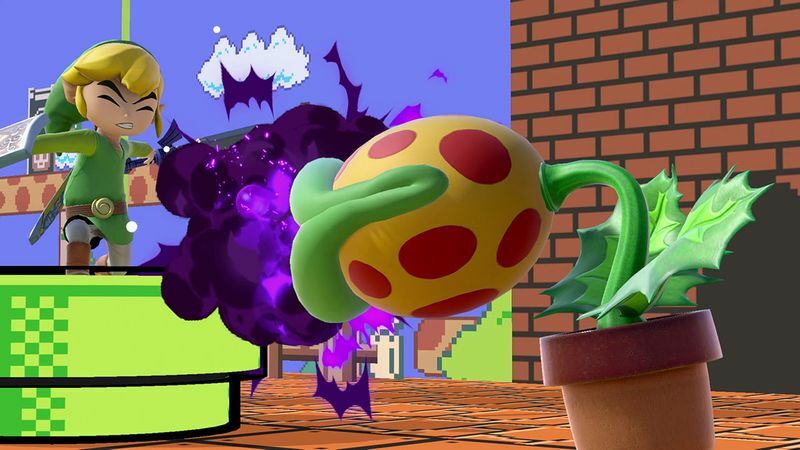 Namely, a save data corruption glitch that’s been affecting a few people using Piranha Plant in Super Smash Bros Ultimate. This glitch occurs when they play All Star Smash or other single player modes with the new character, with affected users reporting that all save data was gone after finishing. It’s not known exactly how this happens (or whether you need to ‘win’, get a high score, etc), but it’s happened to quite a few people none the less, and seems to be exclusive to the digital version of the game. Similar issues have also been reported in Century Smash too, albeit with Duck Hunt Duo and Mii Swordfighter being the affected characters. So it may not be Piranha Plant itself, but something with the latest update. Or digital copies of the game in general. So until Nintendo releases a patch, be careful. Avoid playing as Piranha Plant in single player modes if you’ve got a digital copy of the game, and watch out when playing Century Smash too. Because at the moment, it seems you could be one wrong move from losing all your progress in an instant.